PINE is now PAN, Paid Staff, Save the Date, New Board Members! You are here: Home / News & Announcements / PINE is now PAN, Paid Staff, Save the Date, New Board Members! We hope that your trees and shrubs are bursting with fruit, your permablitzes are bustling and you’re taking time to cool off in some of our refreshing bodies of water. A lot of exciting things have been going on with our Northeast regional permaculture network this year and we have a lot to share. We are excited to announce that we have formally changed our name to PAN – the Permaculture Association of the Northeast, your permaculture association. As a non-profit “committed to increasing the resilience of the Northeast by strengthening ou r permaculture network and increasing access to education and resources,” it became clear in the Fall of 2015 that we have not really been an “Institute” but rather a connected network of people finding strength in our shared “Association” with one another. The new name better represents the non-hierarchical and mutually beneficial relationships we aim to create, guided by our stated values. For over a decade, the Northeast Permaculture Network has thrived and grown from the seeds planted by ‘P.I.N.E.’– a clever acronym that reflected the existing models of regional permaculture organizing at the time of our inception. Over this past decade we’ve seen a robust run of regional summer convergences, exponential growth in permaculture education opportunities, countless sub-regional guilds, gatherings, working farms, businesses and demonstration sites take root. At some level we have seen permaculture enter into more mainstream awareness. 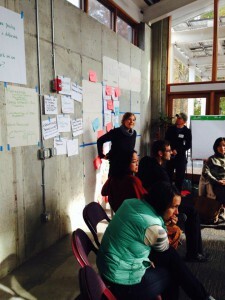 As always, our work has been about connecting and capacitating the decentralized and autonomous nodes of permaculture activity across our region. We will continue to honor the principles of self-organizing systems and ecological patterns across our amazing permaculture community. PAN does its best to reflect these models and be of service to on-the-ground permaculture work across our region. We think of ourselves as the mycelial threads that connect the various fruiting bodies located throughout our region and we wanted our name to reflect what we actually do. PAN is excited and well-positioned to look for key leverage points, to fulfill our mission, and be of service to all peoples and beings in our region. We’re excited by new waves of leadership and permaculture’s continued development and novel expressions … Please join and take part! Part-time Paid Staff – We have achieved quite a bit as an all-volunteer organization but we are hitting a growing edge! To better support the network we are going to transition from an all-volunteer board running the operations of PAN to having a part-time staff person help provide consistency and stability with our work for you. We will be announcing this opportunity soon through our regional listserv, blog and social media sites. What Does PAN Do? 4C’s! PAN exists to grow and strengthen the network and support the effectiveness of all the local permaculture nodes (individuals, organizations, businesses, farms, etc.) across our region. 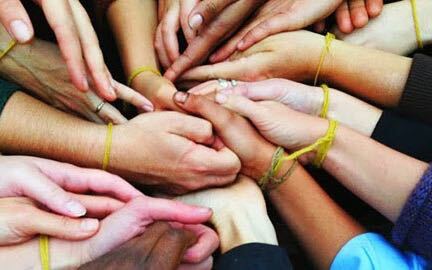 We are focused on the 4C’s of Connectivity, Communications, Convening and Capacity-Building toward that purpose. CONNECTIVITY – Who else is doing permaculture in your area? How do you find them? What learning resources and peer-to-peer connections are available? PAN will continue to grow connectivity tools to help you find what you need, connect to resources and people, and ultimately accelerate your ability to move along your permaculture path, whatever it may be. Connectivity might be online, at one of our regional gatherings and convergences or by connecting you directly to the resource or professional you need. 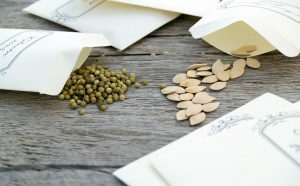 Connectivity also means cross-pollinating with other affinity networks and movements! More of that on the docket soon! COMMUNICATIONS – PAN’s website now features a directory of regional courses (more than 20 this year!) and a directory of demonstration sites and job/intern opportunities coming soon. We will be stepping up our social media presence, blog posts and newsletters in order to keep you posted on cutting-edge permaculture work in our region and around the globe. CONVENING – Summer Convergences return in 2017 (perhaps in a more festival-style format!). This fall we are convening a professional development retreat for permaculture teachers. In February we gather with other local organizers and activists to share ideas and updates about the year ahead. We are available to spread the word on sub-regional gatherings and local convergences as well. One of the most powerful assets to our regional network is that we are operating at a scale that allows us to connect face-to-face for true connectivity and relationship-building. CAPACITY-BUILDING – Fiscal sponsorship is one of the ways PAN can help your local project build capacity. Are you looking for grant money or tax deductible donations to fund your activities? 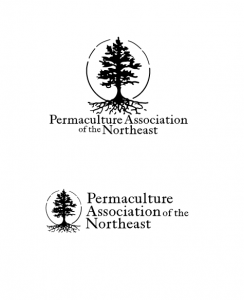 As members of the Permaculture Association of the Northeast, you can use our nonprofit status to acquire those funds for your project. For more details on fiscal sponsorship click here: http://northeastpermaculture.org/fiscal-sponsorship/ And we hope that through connectivity, communications and convenings…we also achieve a level of capacity-building and skill-sharing that is just hard to get otherwise. PAN Board News – Welcome New Board Members! Taylor Shuler is a NYC native. She was getting a Masters in Cross-Cultural and Sustainable Business Management at the American University of Paris (in Paris, France) when she came across permaculture in research she was doing for a term paper. Two weeks later, she flew to nearby Portugal for a PDC that was certified by the Permaculture Association (UK). She wrote her masters thesis about applying permaculture to business management and corporate governance. Social permaculture now plays into her job everyday. She attended the Women’s Permaculture Teacher Certification held at the Omega Institute in August 2015 with Lisa DePiano. Steven Whitman is a professional planner and educator based in New Hampshire and his work is focused largely on community planning and ecological design. Steve is a certified permaculture teacher having completed his Permaculture Design Course at Crystal Waters , and his teacher training at Central Rocky Mountain Permaculture Institute. Steve is also an adjunct faculty member at Plymouth State University, Colby Sawyer College, and Green Mountain College and is completing a Doctor of Education focused on local decision making and ecosystem services. Steve frequently teaches courses in the US and internationally in community and environmental planning, ecovillage design, and permaculture. Steve lives in Plymouth, NH and participates in a wide range of grassroots efforts that promote community resilience. We need you to help keep our northeast network thriving and healthy. If you are not yet a PAN member join today. Your membership dues are directly supporting our work to grow and strengthen the permaculture network in the Northeast. Your support makes Connectivity, Communications, Convening & Capacity-Building happen! We give thanks for all your support!